There was a time when channels like MTV or Star One were saviors for the young generation out there. Considering the major competition between the leading channels and the shift in the content that appears on-screen, we hardly had any shows since a while that stole the limelight for the youth out there. Altbalaji’s expansion into the digital world of web paved a way for some quality content that had people talking about it and the name fetching a good response as well. With all its range of web series, Altbalaji is all set to come up with a very intriguing high school drama. Named the ‘Puncch Beat’, the high school romance genre is all set to rekindle to craze for such varying and playful content. Starring Priyank Sharma and Harshita Gaur in the lead roles, the show has some extremely intriguing characters in the cast too. Producer Vikas Gupta and actor Priyank Sharma shared the latest videos on the social media accounts which confirms every bit of this. Watch Vikas Gupta unveiling the major characters, the set and location with a new found enthusiasm and Priyank Sharma makes you familiar with the very new faces that are going to attract you. 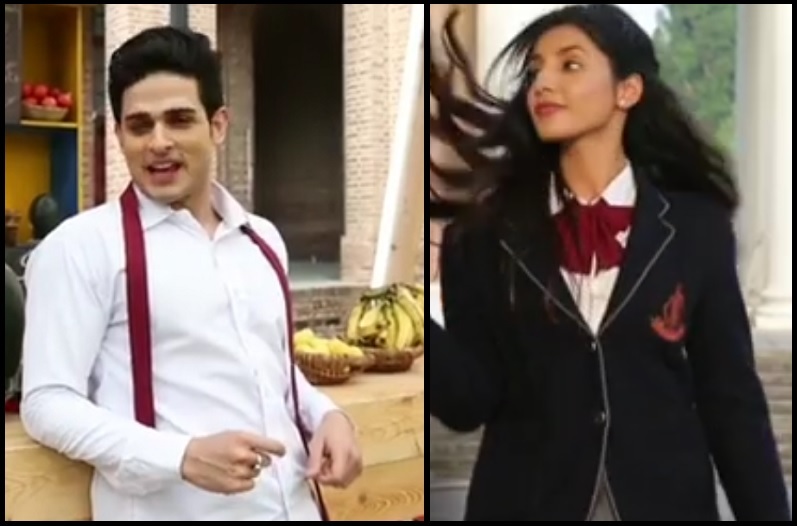 Going by these characters and the unique way they’ve been introduced in, the show looks like a perfectly themed one with the brooding, street boxer Rahat aka Priyank Sharna and the mysterious, fabulous girl Divyanka aka Harshita Gaur. With a bunch of these talented new faces, the beautiful setup, ace actors like Sameer Soni and Nikki Aneja too, this looks like nothing short of a movie being made instead! Did any of you like us got the typical ‘Student of The Year’ feel while watching the videos? Dipika Kakar's Next Project To Air On Star Plus? It looks like Student of The Year!!! !